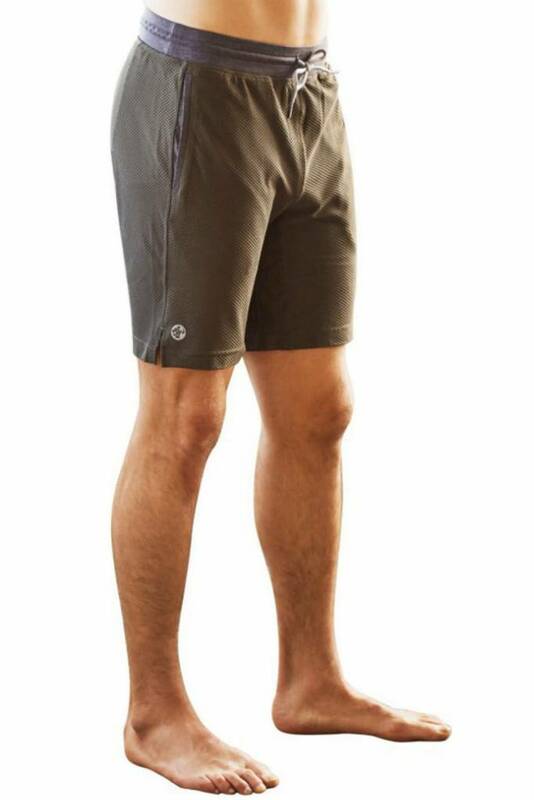 The O Sweat Short has a loose fit and is slightly elastic, giving you optimal freedom of movement. 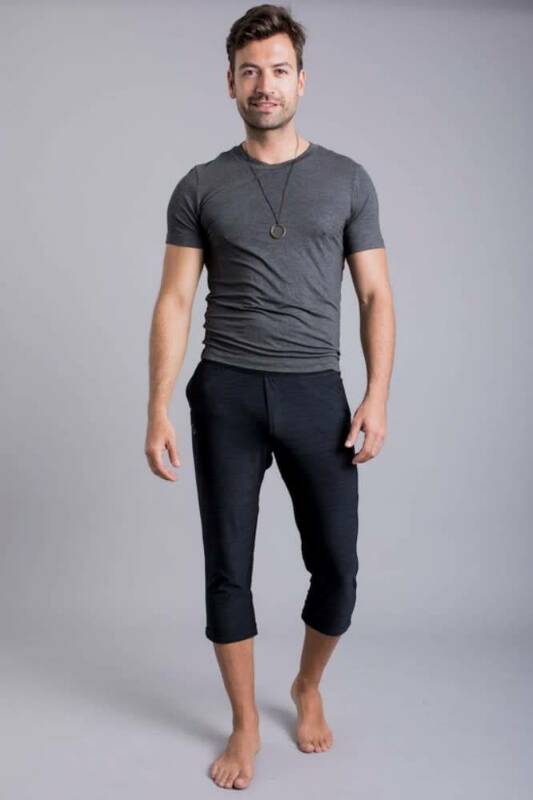 The Ohmme Namoustache Yoga Pants is a three-quarter length yoga pants for men with a relaxed fit tapers slightly downwards. 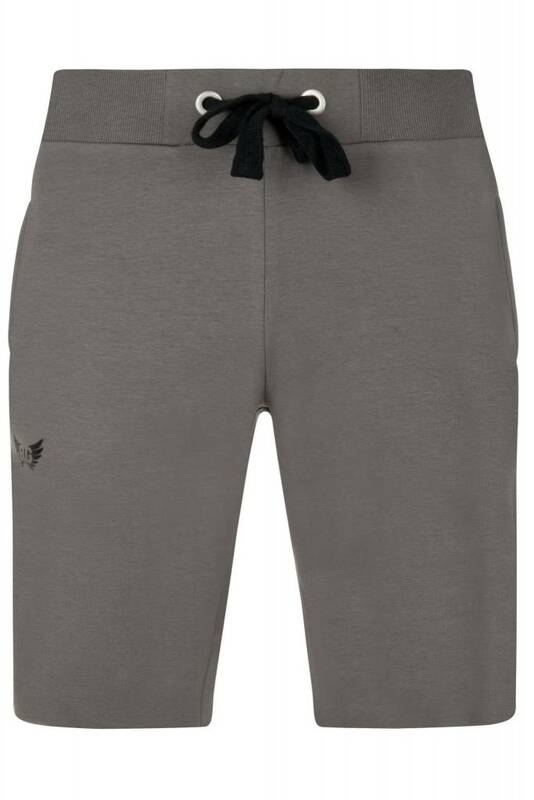 The breathable and stretchable fabric gives you all the space you need. 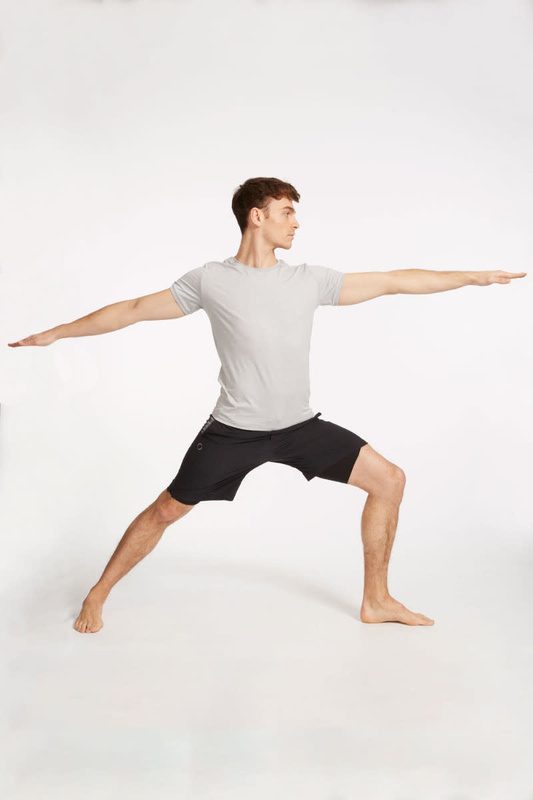 The Ohmme Eco Warrior II Yoga Shorts are shorts for men with inner pants. 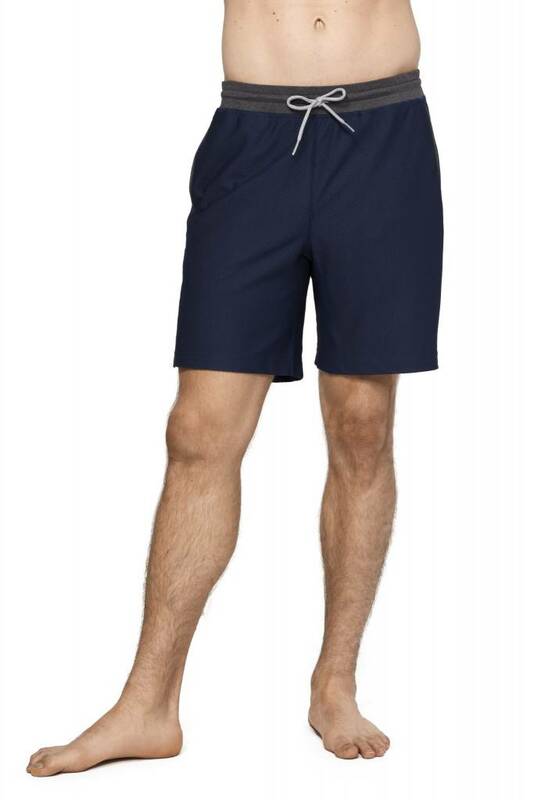 The shorts are slightly elastic and have a loose fit, which gives you a lot of freedom of movement. 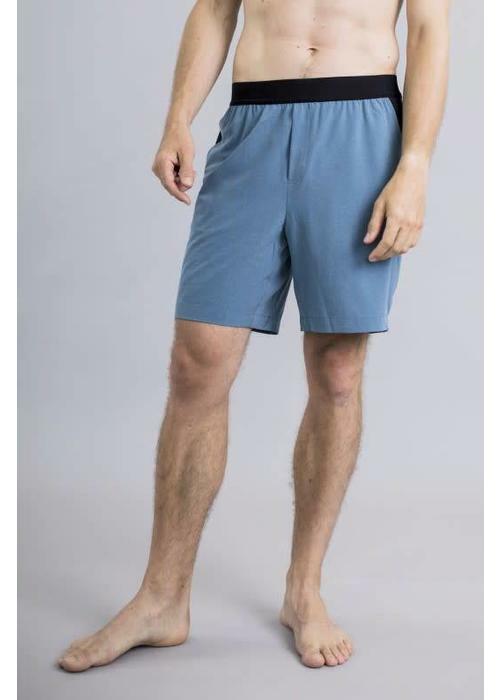 The wide elastic waistband keeps the shorts in place. 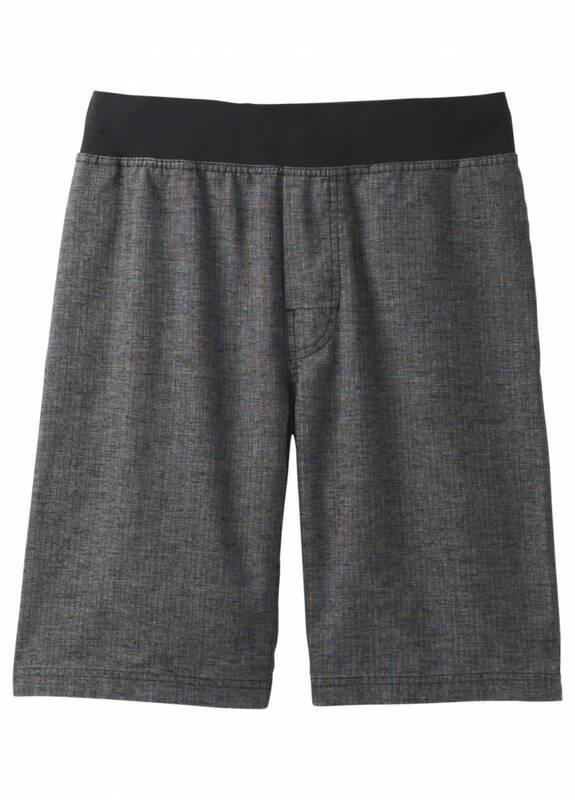 This short with straight fit is made of a light, quick-drying material and is your perfect partner for a spirited yoga class or intensive workout. 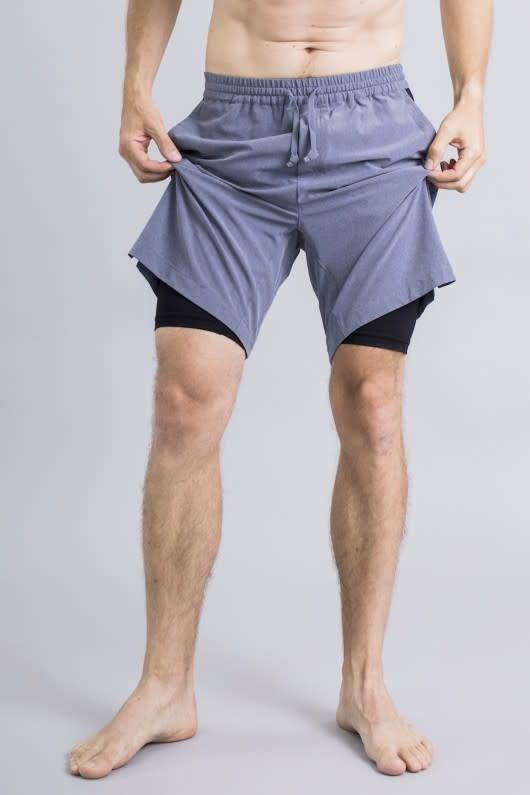 Men's yoga shorts in mid-thigh length with inner shorts for extra comfort. Made of lightweight and quick-drying material. 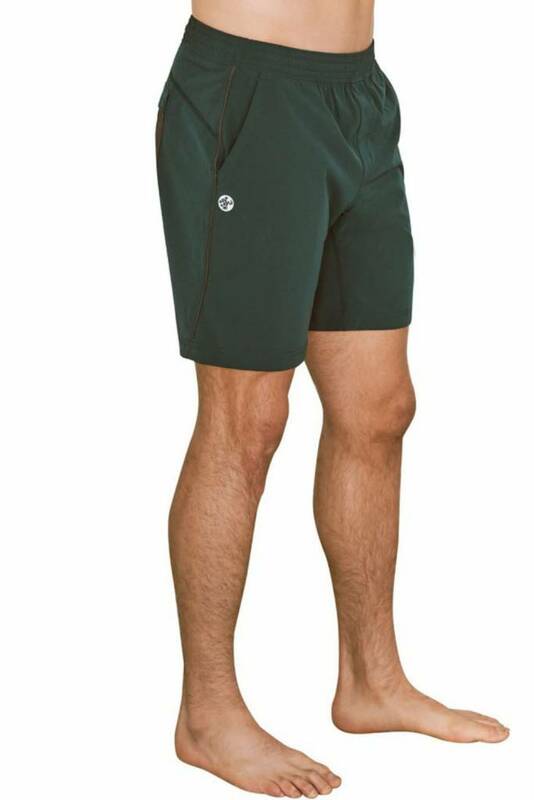 The super comfortable Sutra shorts have a relaxed fit and length to just above the knee. The drawstring in the waistband lets you adjust the fit to your specific preference. 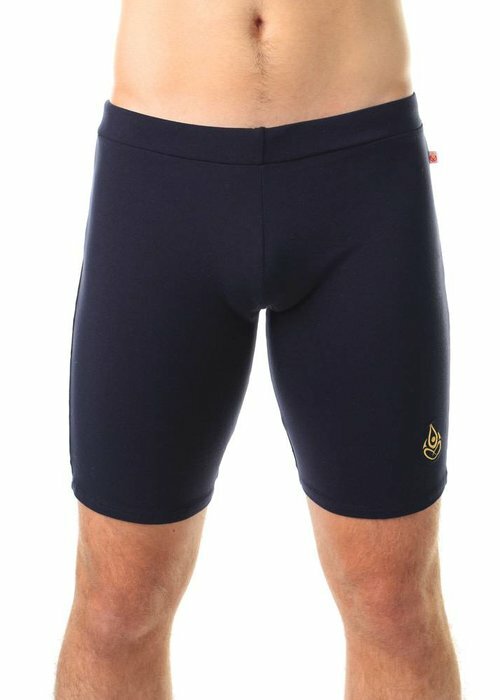 Supple men's yoga shorts with built-in inner pants. The short has an elastic waist band with drawcord, and two side pockets. 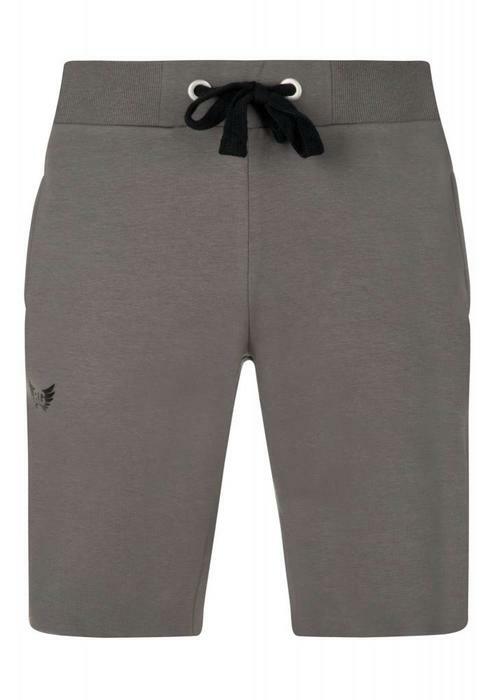 Ideal for yoga, pilates, or an other work out. Men's yoga shorts with interior boxer liner and adjustable waist band. Made of a light, quick-drying and elastic fabric and therefore perfect for all yoga styles, including Bikram or Hot Yoga. 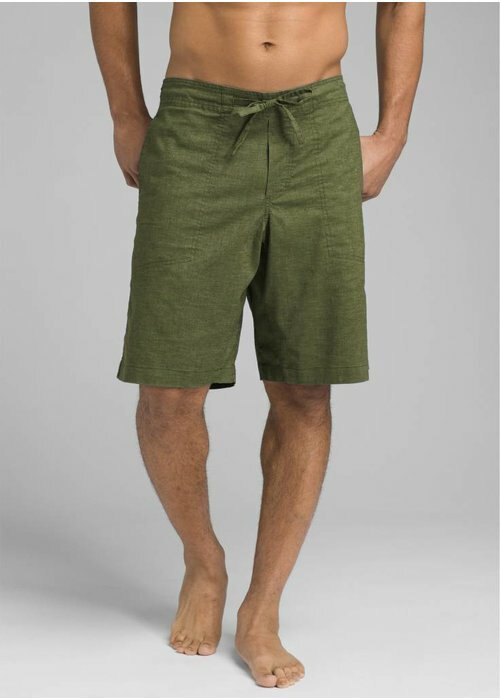 The Bodhi shorts have a loose fit and end just above the knees. The Bodhi shorts have a loose fit and end just above the knees. 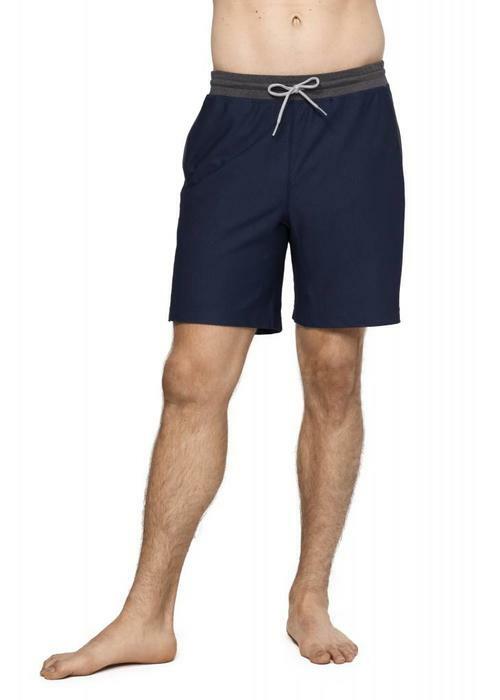 A drawstring in the waistband ensures this short is a perfect fit for any body type. The Ohmme Eco Warrior I Yoga Shorts are short yoga pants for men with a loose fit. 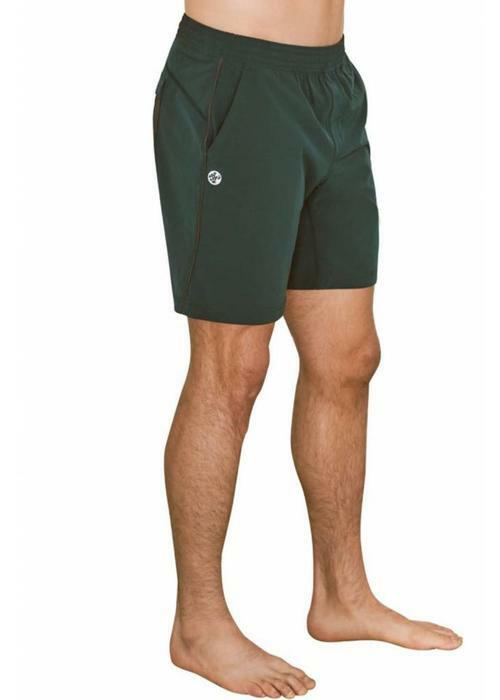 The wide elastic waistband keeps the shorts in place. 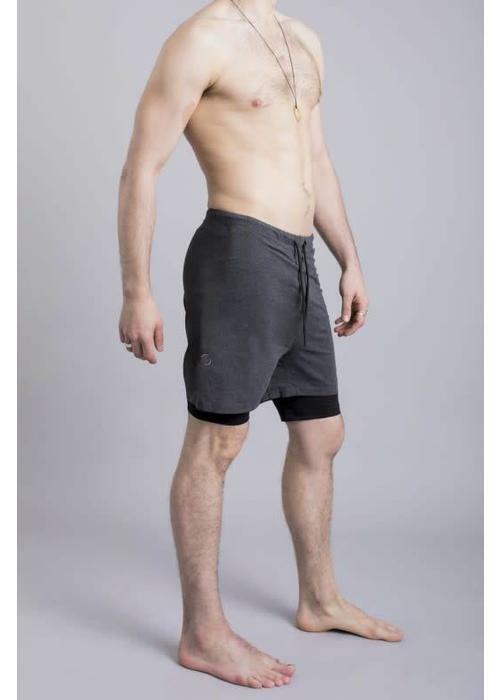 Made of lightweight and quick drying material. 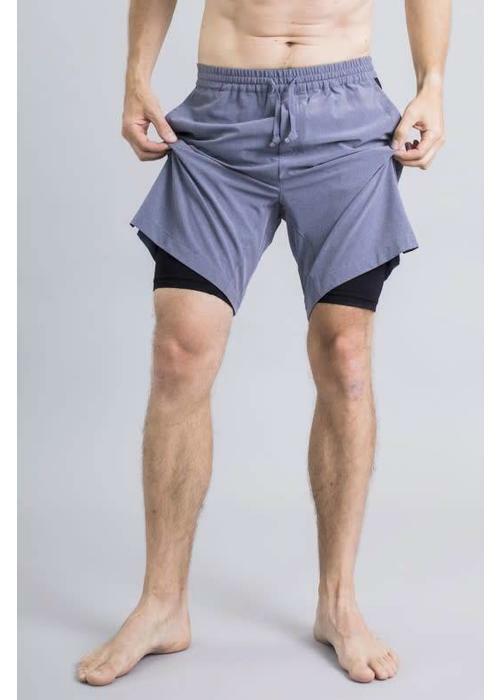 The Ohmme 2 Dogs Yoga Shorts are shorts for men with inner pants. 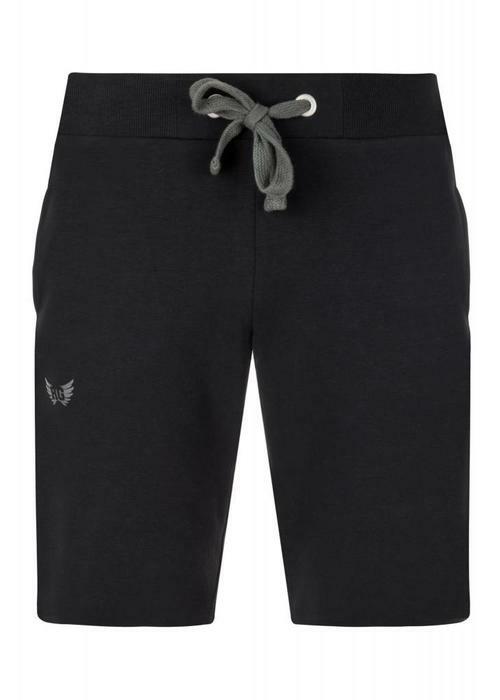 The lightweight and moisture wicking fabric material keeps you dry, no matter how intense your workout or yogaclass is.